This is some concept art for a project I'm working on for the End Result Company. 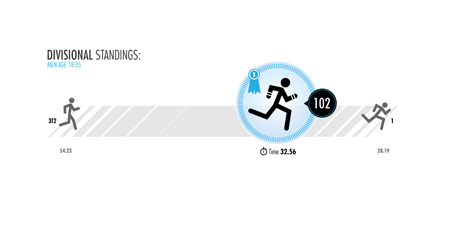 It basically needs to translate a runners stats into some sort of visual data. This would consist of a background element and a foreground element that can move independently of each other. HTML text would fill in the specific values for that persons placement and the total number of participants in the race/division/anything. 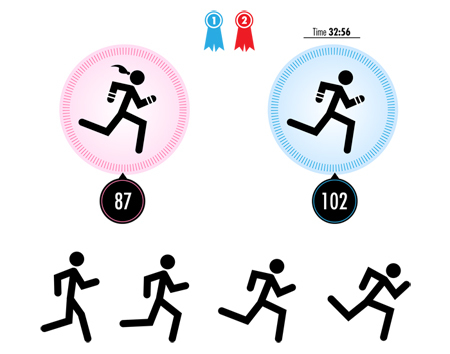 Here's another little tid-bit featuring the female art and some dudes running at various speeds. The original idea was to have a bunch of other figures running in the background but so far it hasn't turned out very well. 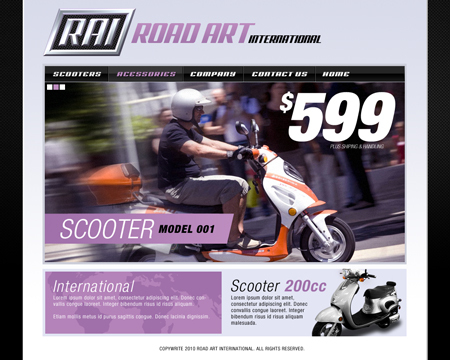 Here's a couple identity/logo concepts for a site called Road Art International. 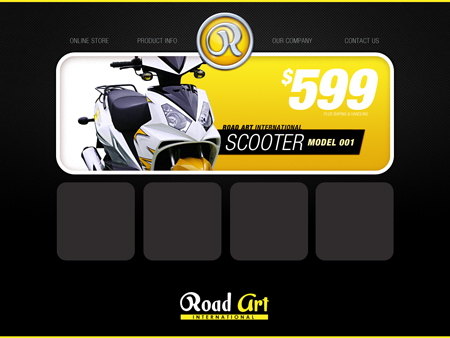 It's going to be an online scooter store website. A couple of the initial design points were a hood ornament style badge, automotive style and carbon fiber. Here's another round of ideas after the feedback on round 1. Primarily some color changes and some changes to the logo badge. The chrome/metal effect was down with a Photoshop plug in called Path Styler Pro. I am usually against plug-ins like this but this one actually does an incredibly good job. 80% of it's presets are crap but a few are good, and the level of control is pretty amazing. Copyright © 2008 Matt Zimmerman.